Nowadays, when mobile devices are dominant, they bring smarter gadgets for users. The software, compatible applications are also focused development on a wide scale. 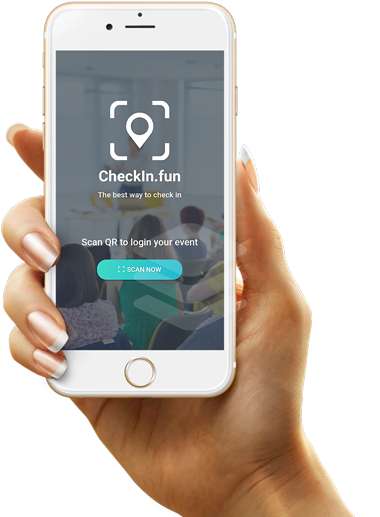 To help individuals, organizations or businesses more easily capture and manage the event, attendees list have a new experience with check-in technology. 4.0. CheckinFun is pleased to create a useful product. 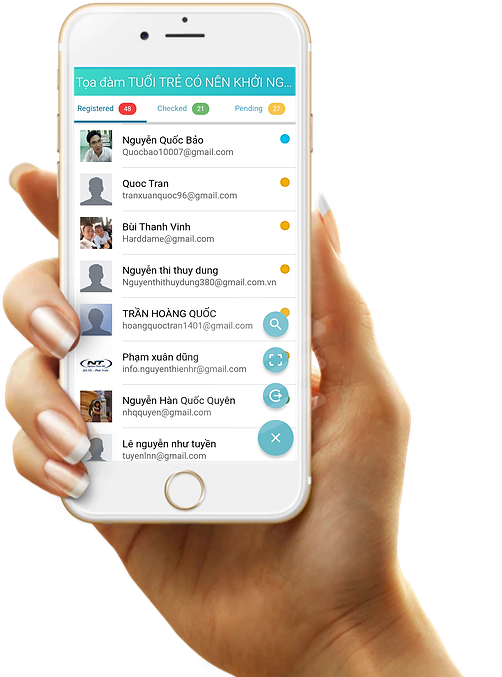 CHECKINFUN APP is based on minimalist interface, friendly and easy to use, but still guarantees the most optimal features for the user. With the 4.0 technology, check-in with QR code gives users a new experience. Step 3: Click "SCAN NOW" using the QR code (this code is included in the system email sent to you when you successfully register the event) to check-in to the event checker system on the event host app. - Search the attendees by name or email. - Check-in for the attendees.